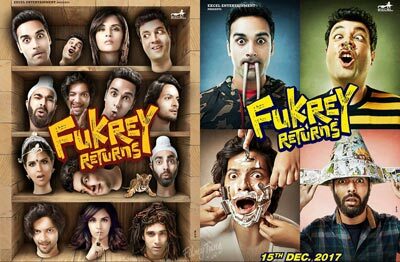 Fukrey Returns is an Indian Comedy, Drama and Romance film. 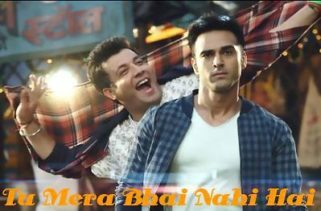 It is starring Bollywood stars Pulkit Samrat, Varun Sharma, Manjot Singh, Ali Fazal, Priya Anand, Richa Chadha, Vishakha Singh and Pankaj Tripathi. The Director of this movie is Mrighdeep Singh Lamba. Vipul Vig and Mrighdeep Singh Lamba have written the story. The movie was released on 15th December 2017. The Music directors are Sameer Uddin, Ram Sampath, Prem-Hardeep and Sumeet Bellary. Kumaar, Aditya Sharma, Satya Khare, Raftaar, Shree D, Mrighdeep Singh Lamba and Vipul Vig have written lyrics of movie songs. Producers of this movie are Farhan Akhtar and Ritesh Sidhwani. Production Company is Excel Entertainment. 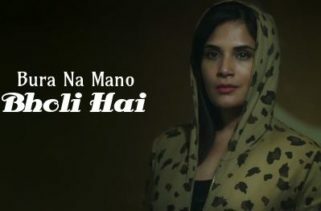 The film stars are Pulkit Samrat as Hunny (Vikas Gulaati), Varun Sharma as Choocha (Dilip Singh), Ali Fazal as Zafar, Manjot Singh as Lali, Richa Chadda as Bholi Punjabun, Priya Anand as Priya, Vishakha Singh as Neetu Singh and Pankaj Tripathi as Pandit.